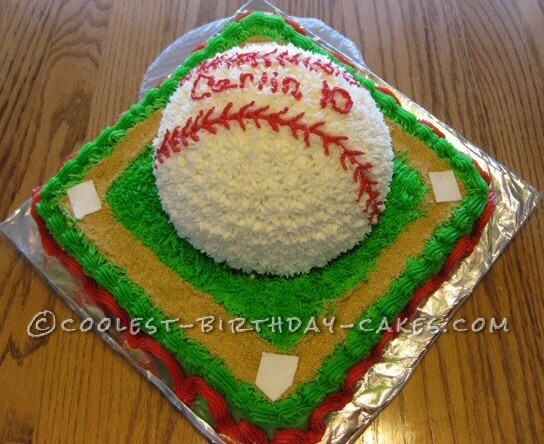 This baseball cake was made in a 10″ square cake pan with the ball part made in a half of a wilton sports ball pan. The whole cake is done in homemade butter cream frosting. I used graham cracker crumbs for the base line. The base plates I cut out of fondant. This was a fun and easy cake to make for my grandson who was really into baseball. He loved this cake and saved the baseball part of the cake to completely eat by himself! Take me out to the ballpark!! !